Got a visual brand? You should be on Instagram. Since Instagram’s acquisition by Facebook, we have seen the platform grow exponentially with its introduction of advertising. As a marketer, I can see Instagram marketing and advertising as a great way to optimize my customers’ social experience to stay on the top of their mind. But before you can focus on advertising, it’s important to clean up our own home. 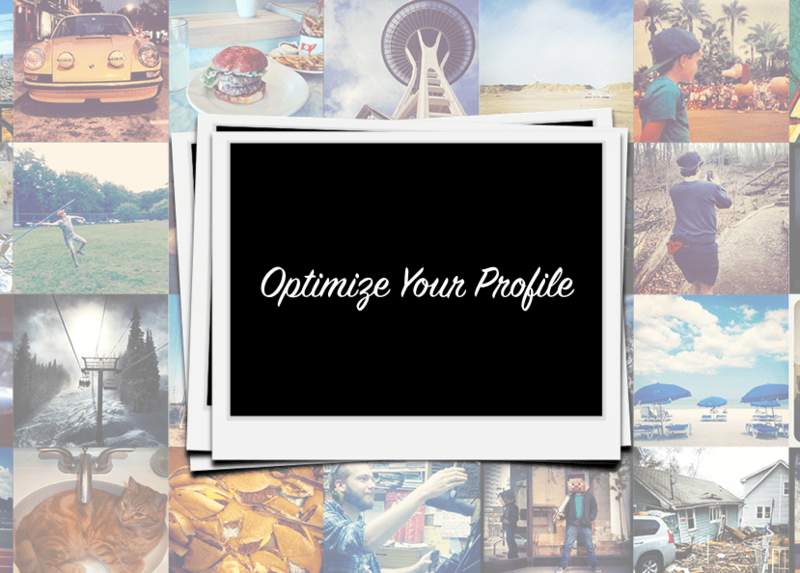 Before Optimizing your profile, backup and understand your brand. While this may sound silly, the reality is that most companies don’t have a clear unified brand image. The more internally unified your branding, the more unified it will be when communicating with customers. Branding is critical to a company’s success because it helps set expectations and create a strong relationship with the right customers. Personality: Who are you? What do you like, dislike, etc.? Mission: The “why” — why should people believe in your company and your products? Promise: What is your customer commitment? What is your value proposition? Understanding these 4 key branding elements will help you create a consistent and strong brand image on Instagram. Your bio is your introduction. When someone is discovering your brand, you want to make sure you put your best (and honest) foot forward. To ensure you do so, make sure your bio is consistent with your brand brief. Stick to your brand voice and speak to your target audience! Regardless of if you use your logo or something else, make sure your profile picture is sized properly for Instagram. Poorly sized profile photos look sloppy and take away from the credibility of your brand. I have also noticed that the most successful Instagram brands use their company logo as their profile picture. I highly recommend doing so because it (you guessed it) helps keep branding consistent. Your bio isn’t a poorly optimized Tweet where you add a bunch of hashtags at the end. Don’t use Hashtags in your bio section because they aren’t clickable! The catch here is, if you want people to tag their photos with a particular hashtag, sure, you can list that in your bio, just don’t treat your bio like a Tweet. Kay Jewelers is a great example of how you can include a hashtag in your bio correctly! Also, check out this post for Instagram hashtag best practices. Similar to a landing page, having a clearly defined CTA is important. Asking people to tag pictures with a hashtag is a CTA in itself. So, pick one hashtag and ask your audience to use that one. Providing your followers with multiple hashtags can lead to confusion and people picking one over the other. Stay in control! Don’t ask people to tag pictures with your Instagram handle, instead have them use a hashtag. This way others can search the hashtag and see all the pictures posted associated with it. If you ask followers to simply tag their picture with your handle, only you or that person’s followers will be able to discover the shared image. Use hashtags to ensure discovery! Before we talk about measuring, I want to highlight one big no-no: Don’t put a link in your bio section because those aren’t clickable. Use the designated URL sections to display and promote your desired URL. Now that we have that sorted out, let’s talk about tracking and measuring success. To measure the impact of the link you share on your Instagram profile, I recommend using Google URL Builder. Fill in the necessary fields to create a trackable link. Once you do so, the link Google will spit out to you will be very long. Obviously, we don’t want to put a long link with publicly displayed tracking code in Instagram! Instead, shorten the link using Bitly and customize the link for branding consistency! Plug the shortened link into Instagram and voila! To learn more about using Google’s URL Builder, check out the Complete Guide here. Why are people always changing links on Instagram? Because they help bridge the gap between conversion and social. Sending people to different products, landing pages, etc. are all advantages of constantly changing your Instagram link. News channels use the link to send followers to new articles they want to actively promote. E-commerce companies often change the link to correlate with the product they are posting about. Think of the link as a CTA — your link between engagement and ROI. Don’t say “official account” – it’s so tacky. Instagram has the “verified” badge, so people already know you are the official account of your brand, no need to waste precious bio space to spell it out. The truth is, anyone can claim to be the official “Kim Kardashian” profile, but we can all easily figure out which profile actually belongs to her. When publishing an image on Instagram, you have the ability to customize the location. When published, the location shows up right below your handle and above the image you shared. While some companies like Carnival Cruise and Airbnb would benefit from actually listing a location, other companies such as Everlane don’t really care to list a location. Instead, they can use it as a CTA. Since you can manually type the location name without verifying if the location exists, companies can use that available marketing space as a CTA of sorts. The images you share on Instagram help create a brand experience. Don’t take this power lightly. Every image you share and comment you publish is helping you grow your company branding. Make sure you keep the image consistent with the brand brief you crafted. 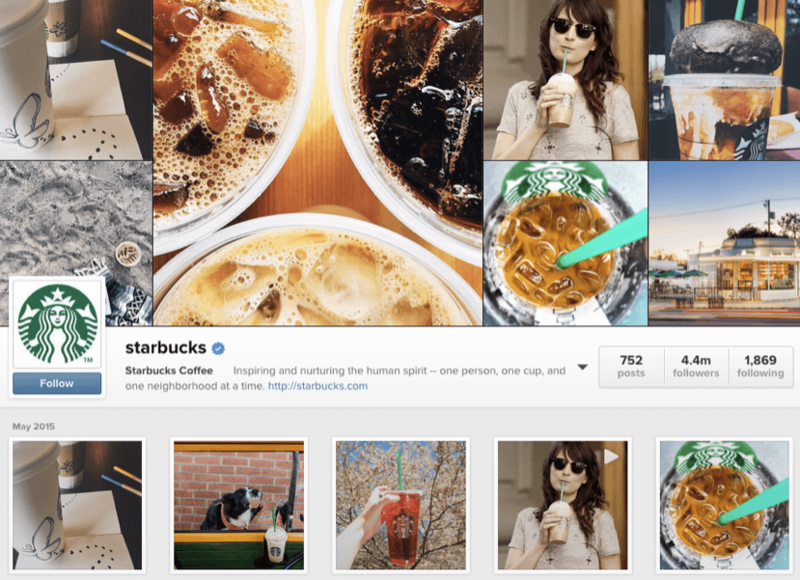 Starbucks does an amazing job of using Instagram as an extension of their in-store experience. As marketers, we are constantly trying to bridge the gap between social media marketing and ROI. I hope that some of these tips help you get one step closer while also helping you become a more effective Instagram marketer. With Instagram marketing growing quickly, especially for B2C companies, it is fun to find ways to fully leverage its full potential. Happy Instagramming!